Where can you get expert advice? Photo: BMC. The UIAA (the international body for mountaineering) has produced a definitive series of mountain medicine advice sheets. Read them all here. These general suggestions are designed to guide those who are unfamiliar or less experienced with mountain terrain and who wish to hike or climb. 16 good advice for what to do when you are in the mountains, before the tour, during the tour and in case something happens. Acute mountain sickness (AMS), high altitude pulmonary oedema (HAPE) and high altitude cerebral oedema (HACE) are the most important and most common altitude related diseases. Primary prevention is considered the gold standard to avoid altitude illness. Learn how to diagnose, treat and most important how to prevent. A portable hyperbaric chamber is a small inflatable chamber made of fabric, which can fit one person. When it is inflated, pressure is created inside the chamber which simulates a descent of 1500-2500 altitude meters. It is used to stabilise patients with serious altitude illness, so that their condition improves and they can descend to lower altitudes to recover. This paper gives advice on the use of such chambers. There are many additional nutritional issues that must be considered when preparing for any mountaineering pursuit, especially those of longer duration. Therefore the aim of this paper is to briefly outline evidence-based nutritional considerations and strategies that can be adopted to minimise weight loss, and improve health and performance. Traveller’s diarrhoea is one of the most important medical problems for trekkers and those taking part in expedition mountaineering. Although the details of the data are still being discussed there is no question that the loss of body water and electrolytes impairs the physical and mental capacity significantly and dehydration increases the risk of Acute Mountain Sickness (AMS). Infected water is the most common risk for diarrhoea. This UIAA MedCom recommendation summarises advantages and disadvantages of the several procedures of water disinfection with special regard to the situation in the mountains or at high altitude; and will advise mountaineers on how to prepare safe water while minimising the environmental damage. As the number of mountaineers who are joining organised treks or expeditions continues to increase, so too does incidence of altitude-related diseases. The following recommendations should assist the mountaineering tourists to check as far as is reasonably possible, whether their organisation has taken into account potential health risks when planning the trip itinerary. Being an Expedition or Trekking Doctor is more than being merely a member which advises others in case of a health problem during the trip and who may get a discount on organized trips! An expedition doctor has specific responsibilities, has to provide special skills, and must always accept responsibility for any diagnosis made, whether right or wrong. This contract document attempts to clarify the rights and obligations of the tour operator, the expedition doctor and the expedition, to avoid trouble and misunderstandings during the trip. Each year many thousands of lowland children travel to high altitude uneventfully. The majority of these ascents involve trips to mountain resorts, especially in North America and Europe. While altitude travel is without incident for most, some of these children develop symptoms that may be attributed to altitude exposure. The following consensus view described here provides the conservative recommendations that should be helpful for mountaineers and physicians who are required to offer advice about ascent to high altitude with children. Harsh environmental factors – especially heat and cold – can significantly affect drugs, the substances as well as stabilisers, solvents etc. Temperatures inside emergency medical bags have been reported to be between -40°C and +80°C. Such temperature extremes may be even harsher in a mountaineering environment. The following recommendations are given on how to handle drugs under such circumstances, side effects and other drug related matters in the mountains. Hiking sticks have in the last years become popular among many who walk in the mountains. This document explains the right technique for using telescopic stick and outlines the advantages and disadvantages of hiking with sticks. It also explains the correct walking techniques which make the use of sticks unnecessary for healthy hikers. This document gives advice to women about their risk of altitude illness, the effect of altitude on the menstrual cycle and the use of birth control pills. It also gives advice to pregnant women about the effects high altitudes can have on their health and gives recommendations on how to prevent complications. 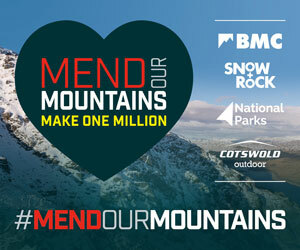 This document gives advice to people with medical conditions who want to go to the mountains. It describes the affects altitude can have on conditions such as asthma, heart problems and migraine. It also takes into consideration other risk factors connected to mountain holidays, such as strenuous exercise, lack of nearby medical facilities and change of culture and lifestyle. A large proportion of women do not principally use contraception during their travel for contraceptive reasons but for regulating and controlling their periods.This paper focuses specifically on the use of contraception during altitude sojourns and reflects the official standard recommendation of UIAA MedCom, which is based on current literature. More and more people – no longer just climbers at high altitude - can be affected by hypoxia, a condition in which the body is deprived of an adequate supply of oxygen. For example, hypoxia is now also being used for fire prevention in storage areas, for altitude training in sport and for many other purposes. The present review examines several neurological conditions and the problems posed by travelling to high altitude, and in particular whether the underlying disease is likely to worsen. The neurological conditions include migraine and other types of headaches, transient ischemia of the brain, occlusive cerebral artery diseases, intracranial haemorrhage and vascular malformations, intracranial space occupying mass, multiple sclerosis, peripheral neuropathies, neuromuscular disorders and epileptic seizures. In the past 20 years several studies (pro- and retrospectively) were conducted to evaluate the injury and fatality risk of rock, ice and mountain climbing. A simple and common protocol was developed, by the UIAA MedCom to report injuries in mountaineering and climbing studies. This protocol includes the use of a single climbing grade reference that converts UIAA climbing grades into a standardised metric form. Climbing often involves travel to foreign and remote destinations, whether for competitions or personal pursuits. Sustaining cuts, abrasions or lacerations, typically on the fingertips in contact with holds, is a common occurrence in climbing. So, what is the risk of blood borne infections being transmitted to the climber? Legionnaires’ Disease or Legionellosis is the term used for infections caused by Legionella pneumophila and other related bacteria. Legionella bacteria are only dangerous in respirable form and generally only in susceptible individuals for whom inhalation of the bacteria in aerosols or water droplets (showers) may cause severe pneumonia and, in extreme cases, death. Visual loss in the wilderness setting is potentially fatal. Firstly it may be a warning sign of a serious systemic problem and secondly the patient may lose their functional independence and ability to respond to objective danger. Mountain activity is one of the most adictive, therefore mountaineers and climbers usually cross the barrier of confort to achive goals and to be on the mountain. Going to high altitude can be a risk for those which suffer from cardiovascular diseases because of the low pressure, oxigen and extreme weather conditions. A layperson’s advice sheet on drug use in the mountains. The paper is the result of five years of discussion and consensus building between experts on the UIAA Medical Commission and the international mountain medicine community. This recommendation was first part of recommendation No.15 “Work in Hypoxic Conditions”. In the course of time this one has been updated several times and includes also several aspects of isobaric hypoxia. Finally the appendix and the recommendation addressed two different topics and target groups. Therefore UIAA MedCom has decided to erase the appendix at No.15 and to include its content in an independent recommendation to address those who are active in helicopter rescue at altitude or who are responsible for the health of the crews. The content of the procedure and the criteria to decide in a certain situation has not been changed. to increase, so does the incidence of altitude-related diseases. Shlim (1992) stated that 77% of deaths that were caused by high altitude pulmonary oedema(HAPE) or cerebral oedema (HACE) occurred in organized trekking groups - but only 40% of all trekkers were part of an organized tour . In other words in 1992: an individual's risk of dying from an altitude-related problem was increased by 5.0 times at the moment of booking! As recent data suggest the situation is still the same (ADEMED Expedition 2008 and 2011 (data not yet publishes), www.ademed.de). Technically simple high altitude treks and peaks with easy access such as Kilimanjaro, Aconcagua, or the Everest trek (with fly-in to Lukla) are still potentially dangerous because of the rapid ascent profile undertaken by many trekkers and offered by many trekking companies . The points made in this paper should assist mountaineering tourists to check whether their organization has taken reasonable account of the potential health risks when planning a trip itinerary. It is hoped that by raising the awareness of the health risks involved in high altitude trips, itineraries will become safer. Do not be afraid to ask probing questions when booking a trek or mountaineering expedition. It is your money that is being spent and your life that may be at risk. An easy to understand leaflet for people going to high altitudes. It gives advice on how to avoid serious altitude illness and other health problems. The leaflet is prepared by Medex with support from the UIAA. It describes going from sea level to anywhere above 2,000m. An easy-to-understand document on how to stay safe and healthy when ascending Kilimanjaro. Of the 40,000 visitors Kili attracts each year, between 50 and 75 percent turn back before reaching the summit. Cold temperatures, dehydration and acute mountain sickness are the most important reasons why trekkers have to turn back. Preventing these conditions is therefore the key to climbing the 5,895m mountain. A list of organisations, Trusts, commercial companies and charities that are able to provide funding support for trips. Be sure to check out each organisation's awarding criteria carefully before making an application to avoid disappointment and also wasting your time. Piolet d'Ors are the most sought-after awards in mountaineering. Yorkshireman Paul Ramsden has just received his fourth, yet we know very little about him. It's always his climbing partners and fellow trophy-winners who appear in the climbing press. Sarah Stirling tracks him down to find out his opinions on his latest award-winning route, sponsored climbers and the media spotlight.